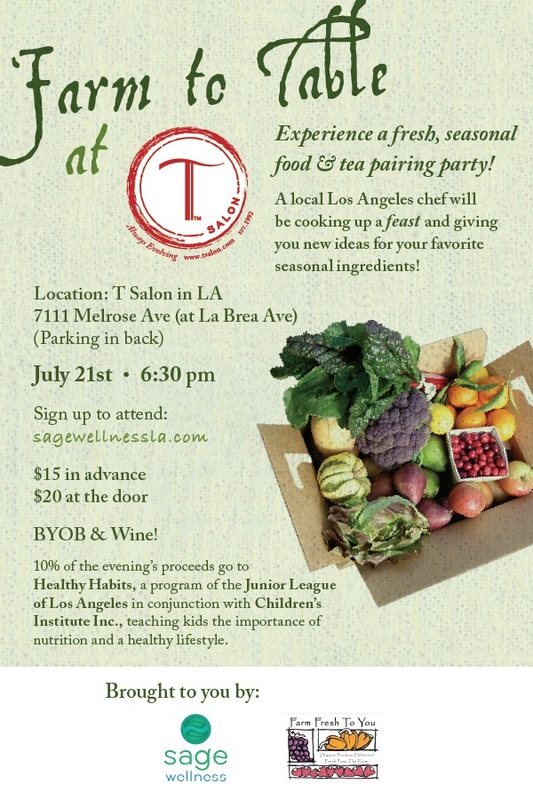 Sage Wellness is hosting a summer Farm to Table tasting at T Salon in West Hollywood next Wednesday – July 21st. Apparently, the menu will be nothing short of wonderful, as will be the drinks and desserts. Children under 12 eat free – plus, it’s a benefit! RSVP now to save $5 at http://sagewellnessla.com/communityevents.